Whether in the air or on the ground, LockheedMartin Corporation leads the global village in technological advances involving the aerospace and security fields. At Lockheed Martin Skunk Works® much of that effort focuses on projects for NASA and the military. Lockheed’s corporate mission is to “solve complex challenges, advance scientific discovery and deliver innovative solutions to help our customers keep people safe.” Core company values include doing the right thing, respecting others and performing with excellence. Skunk Works® has been recognized as one of the world’s leading manufacturers of military aircraft. “Lockheed Martin Skunk Works® is in the midst of celebrating its 75th anniversary,” said Communications Manager Melissa Dalton. “We are growing and hiring at an unprecedented rate, with more than 500 openings currently and more than 750 openings filled last year. “We are very committed to giving back to the community by volunteering locally and sponsoring STEM (Science, Technology, Engineering and Math) education outreach,” Dalton noted, adding that 85 percent of the work done at Skunk Works® is classified. 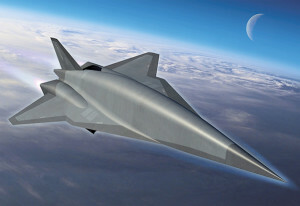 • Quiet Supersonic Transport (QueSST) for NASA. 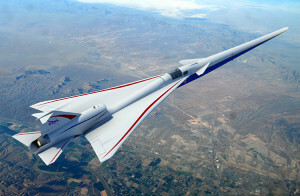 This is NASA’s reentry into the X-plane arena, with the goal of this flight demonstration program to enable commercial supersonic flight over land by reducing the impact of the sonic boom. NASA awarded Skunk Works® a contract in February 2016 for the preliminary design of the X-59 to reduce sonic boom to a gentle thump. 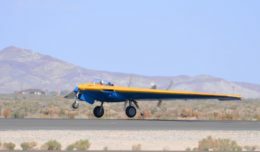 In 2018, Skunk Works® was selected for the design, build and flight test of the Low-Boom Flight Demonstration. • “We are working with DARPA (Defense Advanced Research Projects Agency) on the ARES (Arial Reconfigurable Embedded System) program to develop the next generation of compact, high-speed vertical takeoff and landing (VTOL) delivery systems,” Dalton said. Difficult terrain and threats such as ambushes and Improvised Explosive Devices can make ground-based transport to and from the frontline dangerous. The ARES system design can provide flexible transportation options. 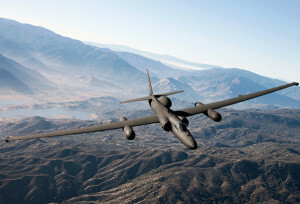 • The company partners with the U.S. Air Force on the periodic depot maintenance of the U-2s, which flies more than 10,000 feet higher and 100 mph faster and has larger bandwidth links than any other high-altitude ISR platform. The U-2s collects critical targets no other platform can. • Skunk Works® leads Hypersonic and Multi Domain Operations for the Lockheed Martin Corporation. The global landscape is rapidly evolving and information in the battlespace is moving faster than ever. Timely and effective mission planning is essential in shaping the battle of the future. By leveraging Lockheed Martin’s expertise in open system architecture, the company can rapidly and affordably integrate software onto legacy new and future platforms. • Acknowledgement of the 75th anniversary of Skunk Works® on June 17, 2018. • Release of the Inside Skunk Works® podcast, available on Apple Podcasts, Stitcher and Soundcloud. • Shifting of employees occurred. One high-ranking administrator retired, another stepped into the vacated position and another also entered a leadership role at Skunk Works®. • The first part of the X-59 machine got underway. • The company demonstrated its leadership in networked warfare. • The company hosted a virtual field trip to Skunk Works® for 80,000 classrooms. That provided high school students around the United States with an introduction to careers related to STEM education. • Company officials announced growth and partnership with the State of California. A U.S. Air Force U-2. Moving forward, the company envisions some major projects in the pipeline and Dalton reiterated that Lockheed Martin Skunk Works® “is in the midst of great growth. We have significant program work to execute and (we) are hiring. Details of this work cannot be shared. We seek highly skilled production artisans and clearance-holding professionals across all disciplines to include Engineering, Finance, and Supply Chain. Dalton said Skunk Works® has approximately 3,000 employees in California and an additional 1,500 in locations including Fort Worth, Texas, and Marietta, Ga., Lockheed Martin Corporation, with headquarters in Bethesda, Md., has locations across the United States and also facilities in foreign nations. In all, the company employs a total of about 100,000 people in this country and abroad. Lockheed Martin is listed as LMT on the New York Stock Exchange. It was ranked 59th on the 2018 Fortune 500 list of largest industrial corporations. Employees specialize in the areas of research, design, development and manufacturing of advanced technology systems, products and services.